BIO: Jill Hathaway lives in the Des Moines area with her husband and young daughter. Having earned her BA in English Education from the University of Northern Iowa and her MA in Literature from Iowa State University, she teaches high school English and dual credit courses for Des Moines Area Community College. Hey guys. 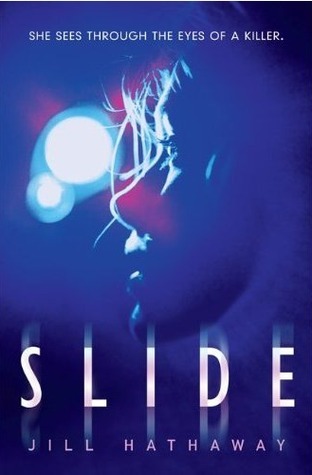 Today is author, Jill Hathaway's release day for her debut novel SLIDE. Yay! I have a little Q&A with Jill and then a giveaway for some super shiny *signed bookmarks! Let's get to know a little more about Jill..
J.H. I don't know that anything really INSPIRED me to do it. I just like writing and making up stories. Things just pop into my head, and one day I started writing them down! 2. How long did it take you to write SLIDE? During that time did you come across any blocks/times that you couldn’t write? J.H. It only took me 4-6 weeks to write the rough draft, but dude, it was ROUGH. I had to completely rewrite it the summer after I signed with Sarah Davies. 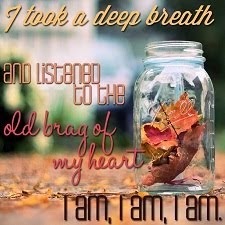 Then I rewrote it several more times for my editor, Donna Bray. I didn't really experience writer's block during that time. 3. What inspired you to write SLIDE? J.H. I wanted a really great hook, and I thought it would be neat if the main character found herself standing over a dead body with no idea of what happened. The sliding evolved from that seed idea. J.H. In Publishers Weekly's review of SLIDE, they mention the theme of empathy. Because Vee is able to literally walk in other people's shoes, she gets to know their lives in a really intimate way. This greatly affects her world view. J.H. Someone once compared my writing to R.L. Stine or Christopher Pike, and I thought that was cool. J.H. I'm a high school teacher during the school year. 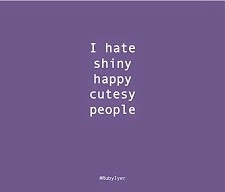 It pretty much rocks. I also like to paint pictures of shrubberies and rock out to A Perfect Circle. J.H. Right now, it's writing another book that will live up to the concept of SLIDE. It's killing me a little. Thank you so much, Jill. Congratulations on your big day! Wanna read the first few chapters? Go for it. Right --> HERE! Now for the goods. I have a few of signed bookmarks to giveaway. Standard procedure guys. Everyone is welcome to participate. 4. Giveaway ends at 11:59 p.m. on April 7th. Thanks to Andrew Smith for allowing me to be one of the four blogs to reveal this spectacular cover. PASSENGER is the highly anticipated sequel to THE MARBURY LENS and will be released Fall 2012. Smash Attack , Not Now I'm Reading and Roof Beam Reader. So, if you know me very well at all, you know how much I dig going to author events and how excited about this particular event I have been, because not only were there going to be multiple authors,( Lauren Oliver, Dan Wells and Claudia Gray!) there were going to be tons of bloggers attending as well. Yay! So, during the weeks before, I had arranged for a bunch of us bloggers to go to dinner after the event. What everyone didn't know is that I also asked the authors if they wanted to join us as well. (When they were through with the signing.) Yay again! The event went pretty standard. It took place at my local Barnes and Noble Bookstore . B&N was simply packed. I arrived super early, got seats and met up with a few blogger friends. I already had my books tabbed and ready to be signed so I could interview the authors before the event. Amy: How long does it take you to write your books? Dan: This is the first year I haven't had two books coming out. I only have one book out this year: Partials, which took me about three months to write and three months to revise. I try to write about half the work day. I treat it like a full-time job, but half my time is spent...you know, doing other things. If I actually tried to sit down and write an eight-hour shift, I’d probably kill someone. But when I revise...revision can really be all-night, double-shift, whatever it takes to get the book done. Lauren: Typically, it takes me about eight months to a year to get a solid first draft, and a few months to revise with my editor. Claudia: I'm still kind of figuring that out. Earlier in my career, when I had a job and was writing on the side, it took me a little longer. Now that I'm writing full-time it's a little quicker, but it really depends. When I was working on the Evernight series, I was supposed to be publishing a book every six months. Somehow, I managed to write Stargazer in five months—that was probably the quickest. But my first book took me a year and a half. Amy: Do you like to have the book finished before submitting it for publication? Lauren: I’ve sold all my books on proposal, which means I’ve written about 20,000 words and outlined the rest. Claudia: I really like to have the book written and sell it that way, but my first experience was somewhat like Dan’s, even though I’d already started on Evernight. This was back in the dawn of time, as you’ll see—back when there were pterodactyls in the sky, because Harper called my agent and asked whether she had any clients writing teen paranormal. They couldn’t find any! Dan: Imagine a time before teen paranormal. Claudia: Yeah, right. And at the time I was packing to move, and my agent told me to drop everything and write as much of Evernight as I could. It was one of the fastest writing surges ever, because I had the choice between writing or backbreaking labor. So, each time I was contemplating the boxes, I wrote instead. Amy: Is all of your work published at the same house? Lauren: Yup. I actually threatened to get a “Property of Harper” tattoo! Dan: My YA is with Harper, with Balzer and Bray, and my adult series is with Tor Books. Claudia: Mostly HarperTeen. I mean, I did some work-for-hire for Disney, fairy books, totally different stuff. Dan: Like the Pixie Hollow books? My daughter loves those. Claudia: Yeah. That was actually more challenging than you’d think, because you can’t include any interpersonal conflict but there must still be a plot. Amy: Any favorite stories about being interviewed? Claudia: I was on a live morning show in Colombia, and the studio audience was up with me on the stage—which is fairly typical, but for some reason that day it was all school children and nuns. I had a translator with me, because I don’t speak Spanish. The questions started out typical, what you’d expect, but over the course of the interview they started veering increasingly off topic. And then, suddenly, the translator turns to me and says: “The interviewer would like to know what your feelings are about Batman?” I had no idea how we’d gotten to that point in the conversation. Lauren: An Italian journalist once told me I was not as stupid as most Americans. Or women. Amy: Have any authors been particularly influential? Dan: AA Milne. When I was a kid I had big bookshelf full of stuff, because my parents were awesome. And I had Winnie The Pooh, which was okay, but next to it was The Christopher Robin Poems. I’ve worn out two different copies of that book, and I’m working on my third. Reading that book as a kid is what convinced me to be an author, because AA Milne was having so much fun. He wasn’t just writing, he was playing with words. Claudia: If you’re a really avid reader, that question is a little like: what's best oxygen you’ve ever breathed? You know, all of it. But the book I've probably learned the most from—it’s not my favorite, but it’s the book that taught me the most about how to structure a popular novel--is Gone with The Wind. That book is 1100 pages, spans twelve years, and it never slows down. I once counted, and there are one hundred characters with some kind of plot arc, and that doesn’t even count the ancillary characters. And it’s full of these incredibly memorable scenes, like the burning of Atlanta. Any author would be glad to have one scene like that in the book, and this has dozens. She just does a really great job with wrangling an incredibly complex plot. Amy: Have you written any poetry? Dan: I was a poet for a long time, although I haven’t written poetry since I started trying to make it as a novelist. Amy: What’s the biggest challenge you face as an author? Dan: I have five kids and I work at home. I've started working at the library. Claudia: Learning to tell your good ideas from your bad ones. Knowing which ideas to pursue and which ideas you can just, you know, think about in the shower for a few days. Lauren: Plotting. I know that’s a pretty big one, but it’s true. Dan: The hardest part of writing is writing. Amy: Has an editor ever asked you to scrap what you have and start over? Lauren: No. However, I do have to go back and edit. Dan: Editing means killing my darlings but the end is always better for it. Claudia: No, but I will take suggestions from my editor. Okay! So, very groovy right? I also learned that Lauren pretty much uses her Blackberry to write everything in. Yeah, like all of her notes and drafts for her books. Crazy, right? And Claudia doesn't write any notes down at all. Wow. The wonders of being a novelist! 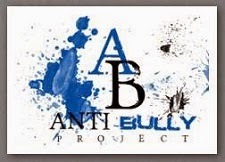 All three authors have upcoming novels and tons of ideas brewing so be on the look-out! To end the special afternoon a bunch of us went to dinner with Dan, Claudia and Lauren. Lori, Shannon, me, Claudia, Lauren and Alli. It was an amazing day. And that's all I have to say about that. Now for the goods. I have a couple of signed books to giveaway. One signed copy of Partials and one signed copy of Delirium - Special Edition (new cover). I will also pick a 3rd winner randomly to receive a swag pack with signed bookplates from all 3 authors. The Earthquake Machine by Mary Pauline Lowry got a makeover. Check it. Mary Pauline Lowry has worked as a forest firefighter, screenwriter, open water lifeguard, construction worker, and advocate in the movement to end violence against women. Due to no fault of her sweet parents, at 15 she ran away from home and made it all the way to Matamoros, Mexico. She believes women and girls should make art, have adventures, and read books that show them the way. Copies of The Earthquake Machine with the new cover will be available in a few weeks. TLoLM Spring Break Blog Tour - Author Interview & goodies w/ Becky Banks! Hey guys! Welcome back to The Legend of Lady MacLaoch Spring Break 2012 Blog Tour. I have some juicy info for you.. Check out my super-spicy interview the Awesome Becky Banks. Thank you Amy for having me, and for donating a puck of your very coveted flamingo pink surfboard wax to the tour giveaway! 1. What is it that you're exploring in The Legend of Lady MacLaoch? BB. This is such a great question. I feel like every book at the 10,000-foot view level has an underlying question that it is exploring. The Legend of Lady MacLaoch is the discovery of love, of course it has action and adventure, but in its boiled-down stripped-of-everything state, it is that. The way I write is purely by the seat of my pants so many of these insights have come in the last year, like the creative, you don’t know where it comes from, only when it moves you, you must respond. This story however once it was complete made me realize several things. Love is timeless, it is ancient and it is powerful – all of which is shown in the curse then in subtleties between the two main characters as they discover love. 2. How long did it take you to write The Legend of Lady MacLaoch? During that time did you experience any blocks/times that you weren't able to write? BB. It took me approximately three weeks to write The Legend of Lady MacLaoch, then a year to edit it into the final version that you've read. The writing of it was fast and furious, when I couldn't write, it was usually from mental exhaustion, because at the time I was working a full time job and writing the book before work, at my lunch then before I went to bed. On the weekends, I wrote all day. Needless to say after publication I had a little meltdown – sort of like a marathon runner who collapses at the finish line! LOL! I feel I should add though, that before Legend of Lady MacLaoch I wrote two separate manuscripts and have yet to finish them. I gave up because I put too many constraints on myself – I expected that I should be able to write a book in its final version the first time through. The critic was so loud in my mind with those two that I got permanent writers block. Then with The Legend of Lady MacLaoch, I was so full of piss n’ vinegar that I wrote straight to the end without pausing to think about what I was doing. Only after I completed it, did I then allow the critic within to come out. 3. Please list seven random likes; then do the same for dislikes, go way random. BB. Okay, this is gonna be fun!! Dislikes: Assholes, Micro-managers, People telling me what to do (are we seeing a theme here?) Gum/gum chewing, Pinching my fingers, Eating under ripe bananas, The ants that are cruising across my counter right now, like they own the place. BB. What bra size are you? 32 G!? 5. If you could have written one book in history, what book would that be? BB. The Bible. JUST KIDDING. You know, I’m not sure that I wish I could have written any other book than the ones I do. Simply because I adore reading other people’s work, but if I had to choose one book it’d have to be Habibi. Habibi is an intricately drawn graphic novel and if I had an ounce of that graphic skill I’d take over the world, with my pen. BB. Yes!! And no it’s not the sequel to The Legend of Lady MacLaoch, sorry ladies! My newest work is titled Forged. Its debut is later this year but as it gets ready to head out to the editors this month I’ll be doing a reveal this Sunday at the blog. The story is about one man’s violent past and the loss of his first and only love. It’s a gritty, dark, fast and redeeming “love story” that explores the question of first loves: What if your life moved in a way that brought you back together with the person you first gave your heart to? For those that liked the vividness of The Legend of Lady MacLaoch, you can expect the same from Forged. Vivid, fast, gritty and emotionally involving. BB. 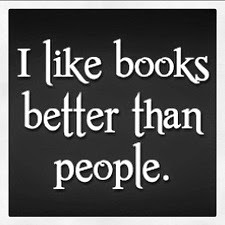 I do, it was for Good E Reader – in the practice run I was like a smooth operator then when it came to go time, I sat there with my mouth hanging open. Here, check it out, me speechless – my mother would say: finally! 8. Tell us about the biggest challenges you face in your writing process. BB. The most difficult thing about my writing process is trying to figure out what in the world I’m doing halfway through. Because I’m a pantser, I write by the seat of my pants to the climax then I have to draw out an outline for the finish. Creating that outline is the most difficult because I have to memorize every detail from page one to that point and make sure that all loose ends/conversations/etc. are all in line. But as I say, waaaaay easier than my statistics course in college! 9. Which authors have been most influential to your own writing? BB. Well, I have to say two books influenced me the most. The Bernstein Bears and Madeline L. Lingle’s a Wrinkle in Time. I wasn’t a huge fan of reading as a kid so these stuck with me because I can remember, still, reading them for the first time. Though I have to say that it wasn’t necessarily books or authors that influenced me the most, it was cinema. One of my most beloved past times was watching movies with my father. We seldom had extended time with him so when he would bring home movies we (my brother and I) would just go nuts. The action adventures with strong female leads are the ones that resonate deepest with me. One in particular that is a wonderfully fierce and funny movie called The Long Kiss Goodnight. I still love this movie; it’s right up there with Top Gun. Ha-ha! 10. What inspired you to write this particular book? Is there a story about the writing of this novel that begs to be told? BB. The idea more or less began during the infamous trip to Scotland in 2009. It was an amazing trip and while I had started the manuscript prior to going, the story evolved while there and solidified on my return. The overarching lessons to be taken away from the novel are unique to each reader; much like other forms of art I've discovered that each person has a different take on the novel. While I’d love to say that I want women to see the strength in Cole and impart some of that sass into their lives, I know that the book will resonate differently with every reader. What each reader (and a handful of them are men) take away will be unique, and as long as there is enjoyment and happiness with it? I’m content. 11. Can you tell us what inspired you to become a writer? BB. It wasn’t until I was solidly in my career in environmental sciences (not as a writer mind you) that I realized I wanted to write a novel. It came about more as a personal challenge - after having read a book I thought I could do better than (who will remain unnamed!) - And I began writing my first manuscript. I’d go on to start and start two others before I began and finished The Legend of Lady MacLaoch. 12. Who is your favorite character in this book, and why? BB. Well, it’d be Rowan. The main character is one of my favorites for obvious reasons – the major one being that he’s HOT. :0) However, if we dig deeper into his persona, he’s an honorable, quiet and mischievous character. All my characters come to me through representations of people I know then I mold them into what I consider ideal. I come from a family of sweet talking men - seriously my grandfather once talked his way out of a mandatory airline fee - so taking those qualities mixed with deep honor then blending him with the Scottish bartender that I met on my trip to Scotland, whallah! Rowan was born. And I have to say with his dark past, rich emotion and power he holds, it made him the funnest to write. 13. If you weren't writing, what would you want to be doing for a living? What are some of your other passions in life? BB. This is always an interesting question for me because I came late to the realization that I was a writer, as in, I realized I wanted to be a writer about five years ago. But as I've learned over these past few years you don’t just wake up and be a writer, you've probably been writing for years not realizing that writing is your craft. I’m one of those people; I've been doing personal creative writing since I was a child. Diary entries, bad poetry, emotional diatribes things like that. It wasn't until the college fiction writing course I mentioned above that I realized I had any knack for it. Welcome to The Legend of Lady MachLaoch Spring Break Tour! Take a look at my thoughts on this breathtaking novel and make sure you enter the raffle. We have epic prizes to giveaway. 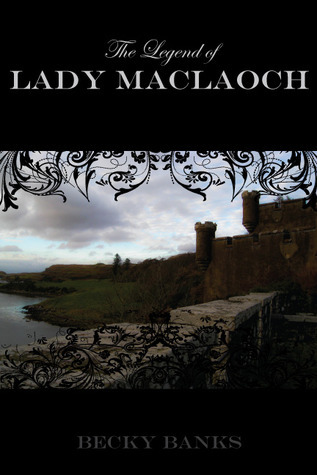 In my opinion, The Legend of Lady MachLaoch is a must read! A Great Book is The Cheapest Vacation! I will also be sharing a fantastic one-0n-one with the Ms. Becky Banks herself on Thursday! Make sure you come back by for that. In my opinion this trilogy is going to be a fun ride with a sassy set of alternative punk tunes to go along with it. I can't wait for the next trip in Jake and Alyssa's adventure. If you haven't read SKID OUT.. you are definitely missing out. Welcome to the SKID OUT Music Madness Giveaway Blog Tour! This is the 1st stop on the tour - I hope you're having fun so far and you're as excited as I am about Annie's new book! Also, if you haven't read SKID OUT yet, the price has been dropped to .99 during the entire month of March. So, I say: DUDE! What are you waiting for? Check out Amazon and BUY IT! Let's check out the goodies in the prize packs shall we? Annie is also giving away a KINDLE FIRE --> HERE! Enter this epic giveaway --> HERE! Make sure you drop by the next blog in the tour, Buried in Books. Yes, you can enter for the prize pack there as well. WIN! And Heather rocks socks!